Earlier this week, Igor Kochetkov, the executive director of the Russian LGBT Network, filed a complaint with the country’s investigations committee that provided details about the 14 people who were detained between Dec. 6, 2018 and Jan. 22, 2018. Kochetkov released the locations of detention centers believed to be holding LGBT people. The list included a regional police station and a basement of a Ministry of Interior building. Upon release, detainees have been stripped of their identification cards, which are required to leave the country and navigate public transportation in Chechnya, according to the LGBT Network’s office based in Moscow. 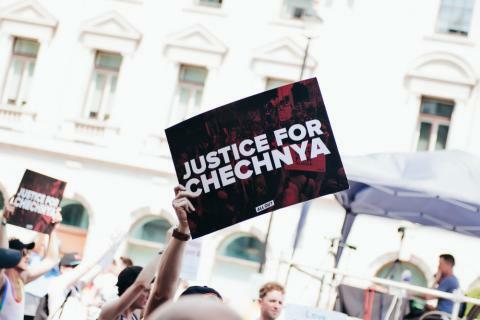 The Russian LGBT Network, a St. Petersburg-based NGO, works with other NGOs and regional lawyers to corroborate the detentions, but the task has proved difficult because of strict information controls imposed by the Chechen government. In a 2017 HBO interview, Ramzan Kadyrov, the head of the Chechen Republic, condoned the practice of “honor killing” LGBT citizens in response to questions about the first wave of gay purges. The Stitching Justice Initiative, a Dutch human rights NGO, reported in 2017 that 36 honor killings have been recorded since 2008. The records were difficult to obtain, according to their report, but the NGO was able to identify the key cultural factor motivating the killings. The first round of purges began in late 2017, according to a December report published by the Organization for Security and Co-Operation in Europe — a security-focused intergovernmental organization. In 2017, the European Court of Human Rights ruled in favor of three LGBT activists who claimed that Russia’s anti-gay laws abused their rights to assembly and expression. One of these laws codified in 2013, the “gay propaganda law,” prohibits any promotion of homosexuality for fear of influencing minors. Despite the ruling, Russian President Vladimir Putin took little action to investigate the accusations, according to Tanya Lokshina, the associate director of Europe & Central Asia at Human Rights Watch. Kochetkov’s complaint about the 14 detentions included the name of one individual, Bekhan Yusupov, who was granted asylum in France in 2017 after the first wave of LGBT purges. According to the co-president of the Russian LGBT Network, Yusupov returned to Chechnya at the beginning of January. Soon after visiting home, he went missing again. The current situation has raised concerns in official Washington with some lawmakers, including Sens. Pat Toomey, R-Pa. and Sen. Ed Markey, D-Mass., criticizing the actions.